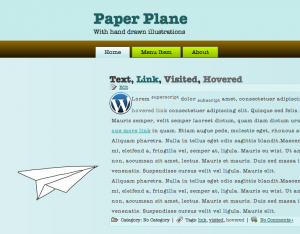 Paper Plane WordPress Theme is sleek and spacious with well thought out padding proportions. Hand drawn illustrations and light colour scheme. Please note that demo shows the Blogger version of this theme.